CATALINA ISLAND is located just 26 miles from Newport harbor. 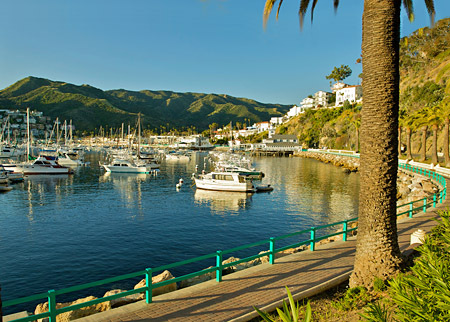 Catalina is a place where the gentle rhythm of the waves makes time slow down. It's a place where you can paddle through crystal clear waters in the crisp morning air, followed by Mai Tais and sun soaked massages on the beach in the afternoon. Moonlight walks are also a favorite pastime. Catalina can be reached in less than an hour when chartering one of our sleek Sunseekers. For a leisurely 2 1/2 hour crossing you can charter one of our comfortable motor yachts. Local activities include: Scuba/Snorkeling, Catalina Island Visitors Golf Course, Zip Line, Descanso Beach Club Cabanas, Valon Scenic Tour and Behind The Scenes Casino Tour. There are many restaurants including Avalon Grille Restaurant, Bluewater Avalon and more including Zest Catering. Board your yacht and enjoy the gorgeous coastline view. From Newport Beach to San Diego you are sure to experience a breathtaking adventure. 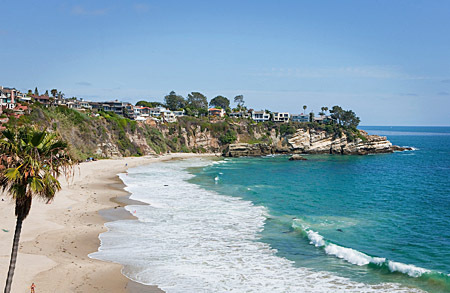 Travel south toward Laguna Beach and Dana point to watch for whales and dolphins, and enjoy the gorgeous coastline view! Popular anchorages include Big Corona Beach, Crystal Cove and Emerald Bay. Anchor up in a calm cove to swim or soak up the sun, your family and friends will enjoy an extraordinary experience on the water! We charter Sportfisher yachts for the fishing enthusiast, to yachts with tenders and water toys for a fun-filled day of excitement! What ever your preference is, Anchor Yacht Charters can provide it. We can assist you with food and beverage accommodations, or you may make your own arrangements. Experience Newport Beach's beautiful coastline from the decks of your private yacht! Newport Harbor is one of the largest recreational boat harbors on the US west coast. Islands within the harbor include Newport Island, Balboa Island, Little Balboa Island , Collins Island, Bay Island, Harbor Island, Lido Isle and Linda Isle.. The 20+ mile shoreline is lined with multi-million dollar estates and yachts. Enjoy a scenic Newport Harbor cruise in luxury and comfort! Located just south of the harbor entrance is Big Corona, a beautiful cove that offers protection from the ocean swells and provides ideal swimming and California sunshine. Further south is Emerald Bay, a popular anchorage just off the private beach of an exclusive community of multi-million dollar residences. 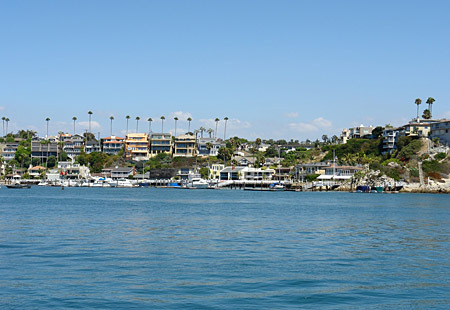 Other nearby areas are: San Deigo Bay, Dana Point Harbor and Marina Del Ray and more. Mazatlan, Acapulco, it's all here! 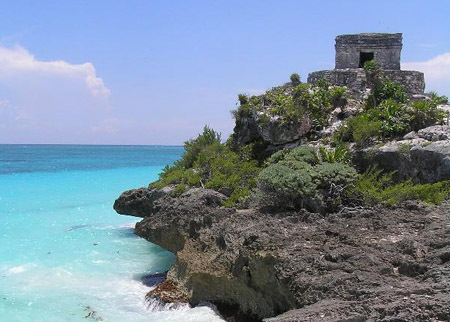 Bask in the warm sun of Mexico for a wonderful trip you won't forget. Anchor Yacht Charters has packages customized just for you and your guests. Mexico is known for it's warm weather and it's relaxing &, peaceful environment. It is rich in history and is home to many ancient ruins. 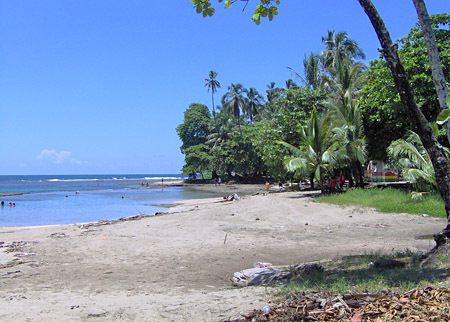 Contact us for complete information about this wonderful destination. 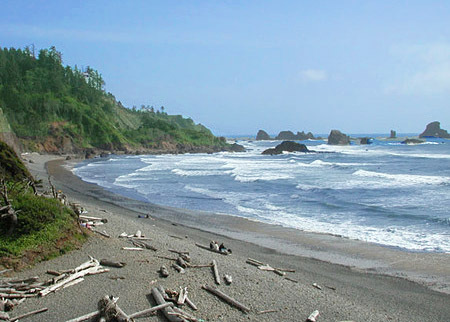 Experience the rugged beauty that the Pacific Northwest coastline has to offer. There is an abundance of marine life including orcas, humpback whales, seals, and sea lions will accompany your exploration. From the beauty Alaska to Washington’s stunning Puget Sound, you will enjoy the unique and endearing landscape. 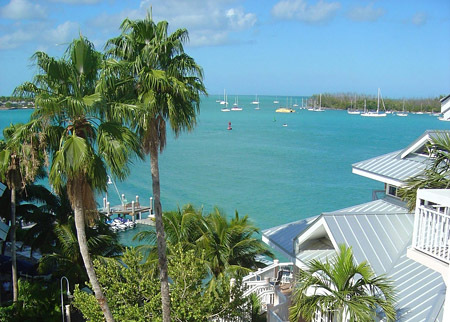 Key Largo, Key West, the warm sands of Miami, and the upscale West Palm Beach, east coast charter is exciting! Other areas in the vicinity are Fort Pierce and Merritt Island. Mexico is known for it's warm weather and quiet, peaceful environment. Discover the deep blue water and secluded beaches of the Caribbean. Or experience the coastal mystique and charming towns of New England. Escape for the perfect getaway.